i) To specify an adequate wall thickness to sustain the internal pressure with safety. ii) To select a piping layout with an adequate flexibility between points of anchorage to absorb its thermal expansion without exceeding allowable material stress levels, also reacting thrusts and moments at the points of anchorage must be kept below certain limits. iii) To limit the additional stresses due to the dead weight of the piping by providing suitable supporting system- effective for cold as well as hot conditions. a) Assuming adequate support to prevent excessive sag and stresses in piping system. b) Incorporating sufficient flexibility to accommodate stress resulting from changes in pipe length due to thermal effects and movement of the connection at the ends of the pipe. c) Designing the piping system to prevent its exerting excessive forces and movements on equipment such as pumps and tanks or on other connection and support points. The stress engineer of a piping design department performs the necessary calculations to ascertain that the various requirements due to internal pressure, thermal expansion and external weight are satisfied. Various computer packages are available in the market, which perform the required rigorous analysis. These analyses are basically static analyses. There are situations where stresses are introduced into the piping systems due to dynamic loading situations like reciprocating compressor vibration, safety valve discharge etc. However it is the static analysis which most of the pipe stress engineers perform and are acquainted with. Now the present day computer packages that are being used (CEASAR-II, CAEPIPE, PIPEPLUS etc.) 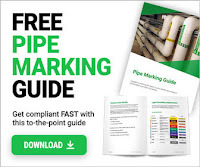 are quite comprehensive and if the piping configuration and pipe data are fed properly, comprehensive analysis are done through the computer packages. This has improved pipe stress analysis job productivity immensely. However sometimes this has led to a decline in the knowledge about the basics of pipe stress analysis especially in situation where the stress analysis engineer after acquiring some sort of skill in the use of the analysis package does not make effort to learn about the basics of pipe stress. Some of the ideas about the basics of pipe stress have been enumerated herein. d) Thermal or mechanical fatigue. Steel is generally considered to be a ductile material. However in certain cases steels sometimes rupture without prior evidence of distress. Such brittle failures are accompanied by but little plastic deformation, and the energy required to propagate the fracture appears to be quite low. The transition temperature for any steel is the temperature above, which the steel behaves in a predominantly ductile manner and below which it behaves in a predominantly brittle maner. Steel with high transition temperature is more likely to behave in a brittle manner during fabrication or in service. It follows that a steel with low transition temperature is more likely to behave in a ductile manner and therefore, steel with low transition temperature are generally preferred for service involving severe stress concentrations, impact loading, low temperature or combination of the three. Elastic deformamations are deformations that disappear when the stress is removed. Plastic deformation is non-reversible. When the stress is removed plastic strain approximately remains unaltered. A look at the stress strain diagram of say a carbon steel material will clarify the concepts. However there is another kind of plastic deformation called creep where the deformation increases with time at constant stress. At certain temperature levels creep, which is the term, used to describe this progressive deformation may occur in metals even at stress below the short time yield strength or proportional limit. Thus the yield strength or proportional limit, which are determined by short time tensile tests do not represent satisfactory criteria for the design of piping systems over the entire temperature range CREEP RATE or CREEP LIMIT determination through a large number of long time tensile test of elevated temperature becomes necessary. Failure has occurred when the service become more severe than the conditions for which the piping was originally designed. Thermal or mechanical fatigue is usually the most common causes of failures in high temperature piping systems. Severe localized mechanical stress have caused or contributed to failures. Thermal fatigue is caused by frequent change in operating temperatures of pipeline. Thermal expansion and contraction occur in all metal components by the change in temperature. Over a long period this results in thermal fatigue. Hence for best metallurgical conditions, the temperature of the high temperature piping systems should be maintained continuously and uniformly as far as possible. Mechanical fatigue is caused by pipe movement, vibration, restraints preventing free movement or other conditions. This is a wonderful blog for pipe stress engineer. Good job ! piping..how about stress in valves? I am not a stress guy. Thank you for your question. I'll see if any1 else can answer this. Sorry i didn't get you? So you're a copy-paste guy then.